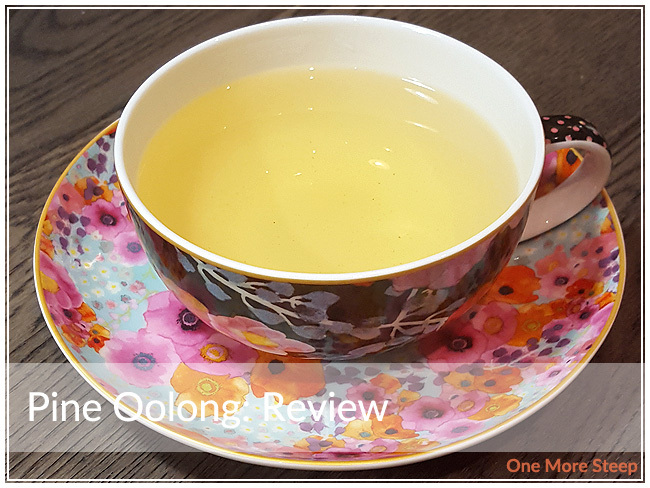 Golden Tea Leaf has provided me with Pine Oolong for the purposes of providing an honest review. 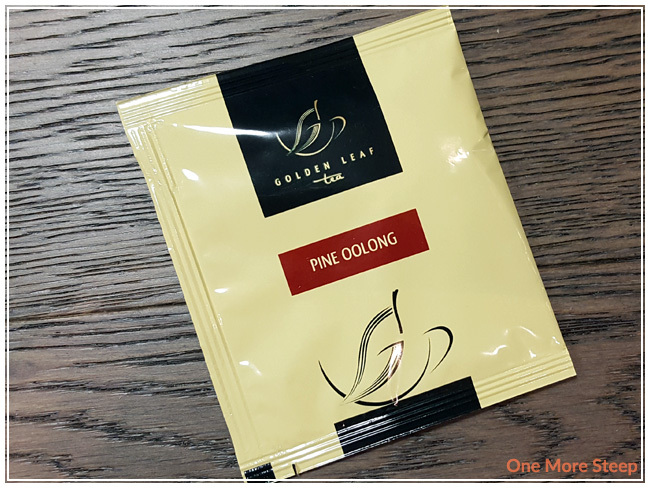 Pine Oolong came to me in single serving packets, all neatly prepared in pyramid sachets. There are some beautiful, full-looking leaves inside of the pyramid. There’s a slightly salty aroma to the tea leaves that contrasts from the sweet floral fragrance that also come from the tea leaves. I ripped open the pyramid sachets to get a better look at the tea leaves. 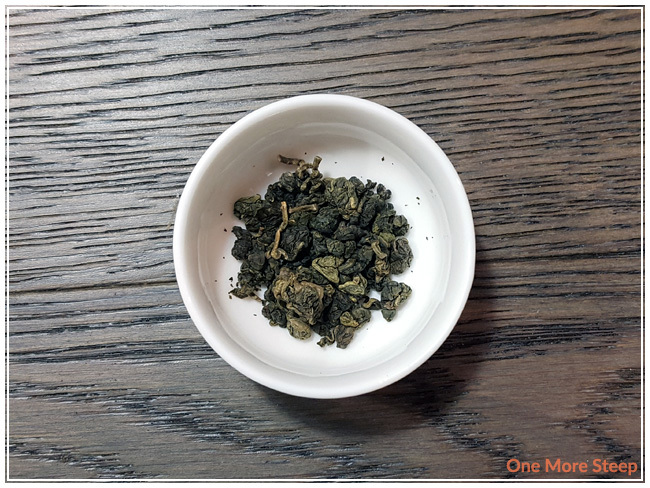 Pine Oolong is a straight oolong tea, described as a semi-fermented green tea by Golden Tea Leaf. Golden Tea Leaf recommends steeping Pine Oolong in 95°C (203°F) water for 2-3 minutes for the first steep, and for 3-5 minutes for the second steep. My initial steep of Pine Oolong was for 2 minutes. Pine Oolong steeps to a beautiful golden honey colour. There’s a sweet floral aroma that wafts up from the tea. 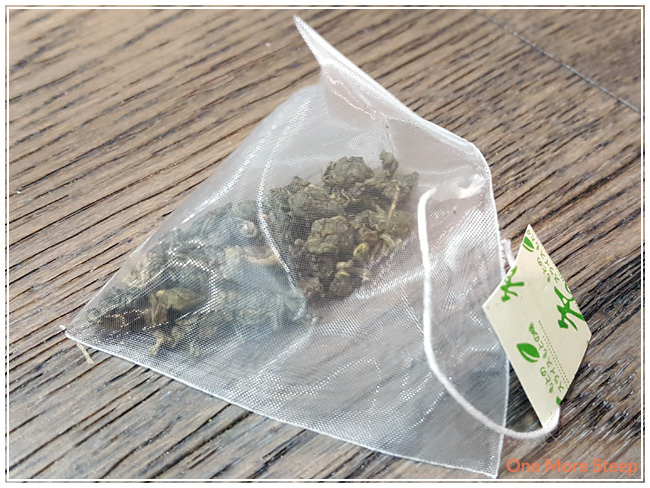 I did notice that the leaves had fully expanded to fill out the entire pyramid sachet – I definitely think that this tea should be steeped in a basket infuser and not in the sachet itself because of the need for the leaves to expand. 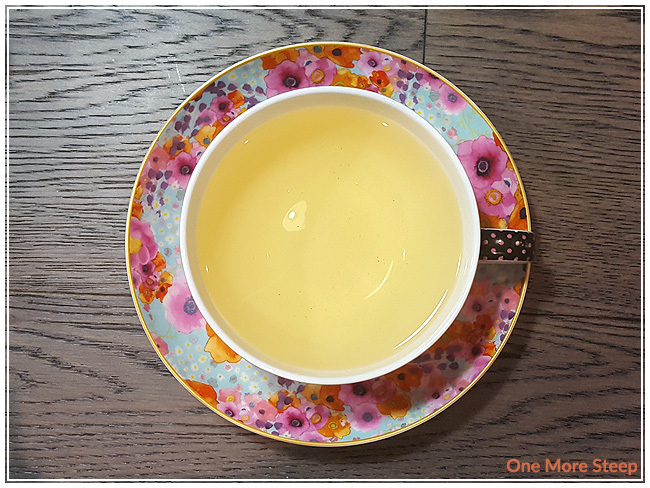 The flavour of this oolong primarily sweet and floral, with just a little bit of umami at the end of each sip. 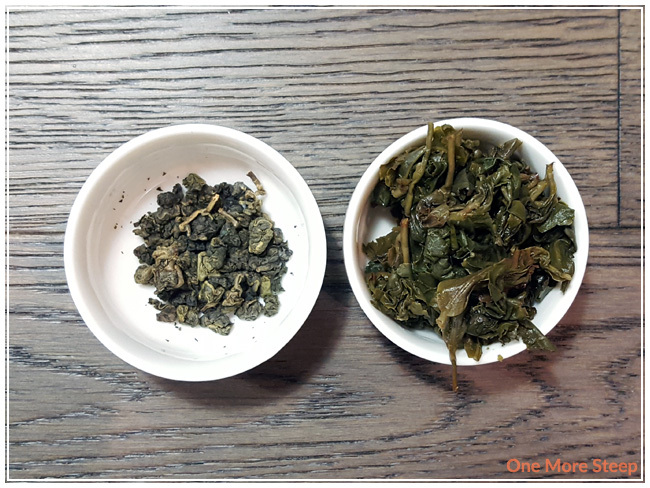 I resteeped Pine Oolong for 3 minutes, and found the flavours to be still true to the initial steep. I managed to resteep Pine Oolong a total of four times (five steeps total), and adding 30 seconds per subsequent resteep. I found the floral sweetness to stay pretty strong up to the third steep total, and got a bit weaker for the fourth and fifth steep. The umami part stayed pretty true to the initial steep all the way through all of the steeps. I loved Golden Tea Leaf’s Pine Oolong. I really enjoyed the floral aromas and flavours that I found in the dry and steeped tea. The umami notes that I found in this tea made the flavour just a bit more complex and delicious to enjoy. The sweet floral notes hold strong throughout and it was a real treat to resteep over and over again. I think the tea would pair well with a meal because of the umami notes.